Boca Reef is a waterfront condominium building located on the west side of A1A south of Camino Real. This seven-story building has 49 units with up to 3 bedrooms and over 3,100 square feet of living space. The units have ocean and pool views, open balconies and 9’ ceilings. Boca Reef was built in 1971 but recently underwent major renovations, including complete concrete restoration and an updates to lobby. Amenities include private gated beach area with tiki huts and bbq grills, fishing pier, pool, exercise room, community room, and shuffleboard courts. 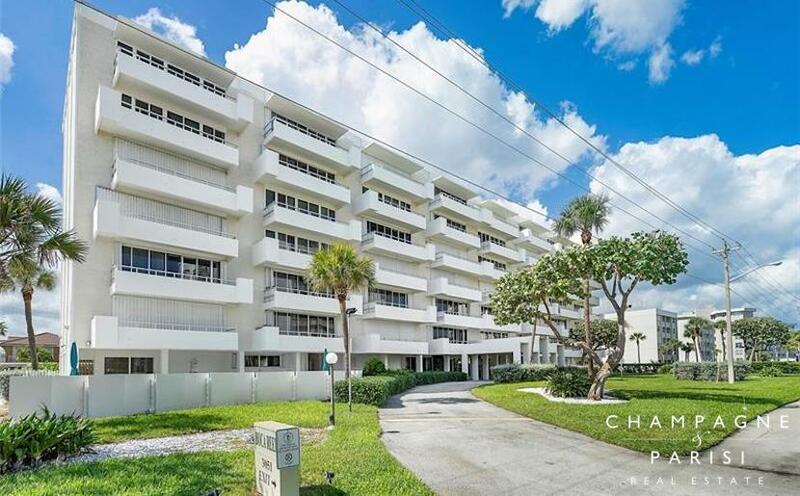 These condos are ideal for someone who desires both Boca Raton and Deerfield Beach living. Residents enjoy a Boca Raton address just steps to the Boca and Deerfield beaches, fine dining options, and exciting nightlife. Boca Reef is also near the exclusive Royal Palm Yacht & Country Club and Deerfield Island Park.